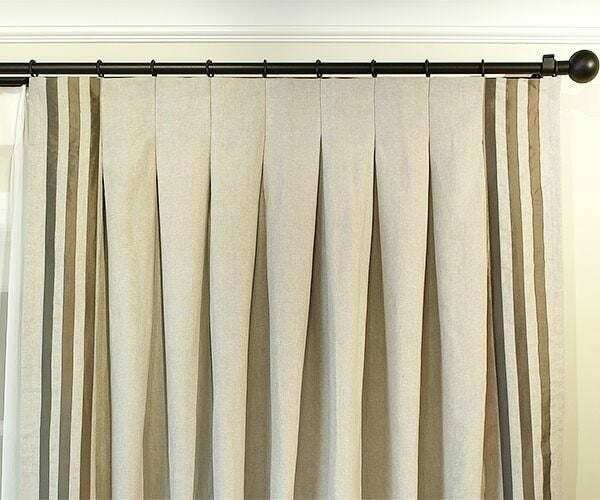 With inverted pleat drapes and curtains, the fullness of the pleat is stitched on the back of the window treatment, creating a contemporary, flat faced design in the front. 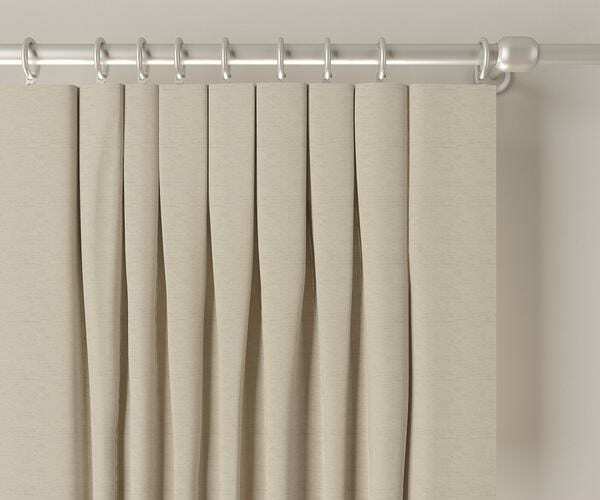 Due to the fullness in the back, inverted pleat designs are primarily used for decorative purposes and usually installed as stationary panels as opening and closing these panels can take away from the flat surface in front. Looking for to make a bold statement? 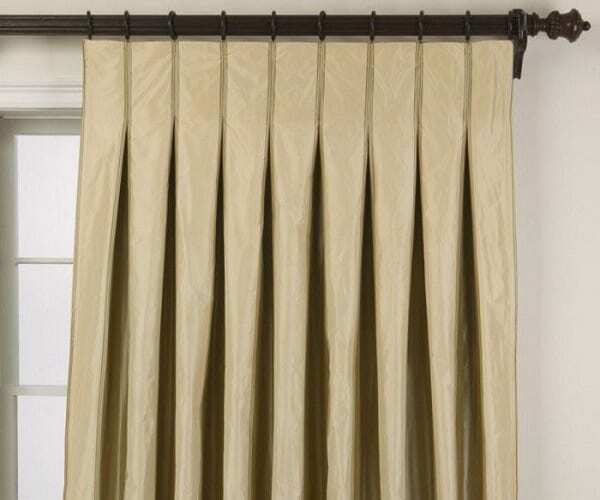 Adding printed fabrics, accents, and custom hardware can enhance the decorative appeal of inverted pleat curtains and drapes.